"The boy they called Heck arrived at Omaha Beach in August 1944. Soon he would be sent to the front . . . " George Tilson, an 18-year-old Iowa farm boy, is nicknamed Heck because he won't curse. Other than that, he's a typical soldier, willing to do his duty without much fuss or musing about grand goals. During his first horrific exposure to combat, Heck discovers a dark truth about himself: He is a coward. Shamed by his fear and tortured by the never-ending physical dangers around him, he struggles to survive, to live up to the ideal of the American fighting man, and to make sense of his feelings for a young French refugee. As the stark reality of combat, and the knowledge that he could cease to exist at any moment, presses in on him, he makes a series of choices that would be rational in every human situation except war. 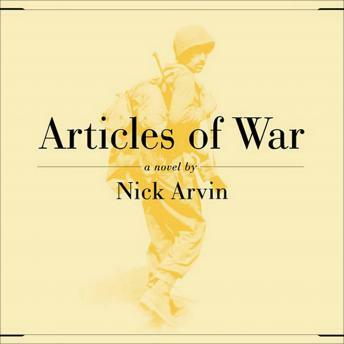 Writing with remorseless clarity in a starkly minimalist style, Arvin draws you into the unimaginable fear, violence, and chaos of the war zone, and creates one of the most disturbing and unforgettable accounts of a soldier's life ever written.